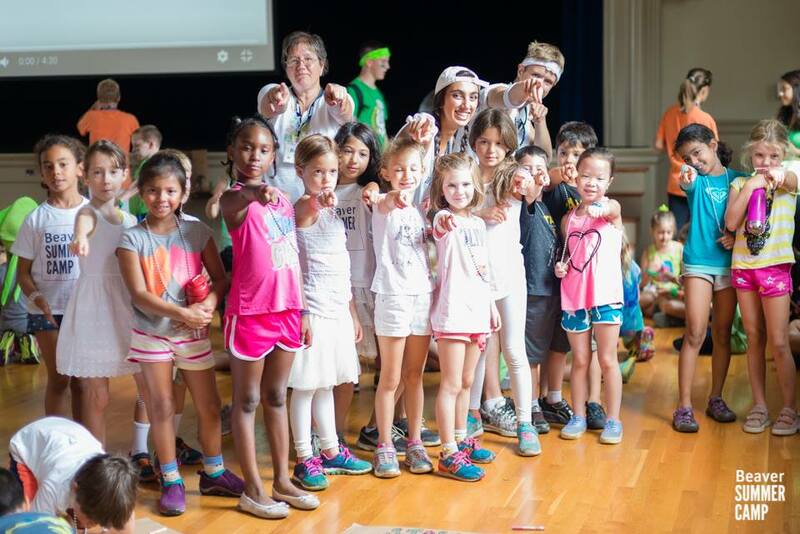 Middle Camp did – let the games begin, that is – bright and early Monday morning, in authentic Olympics fashion. 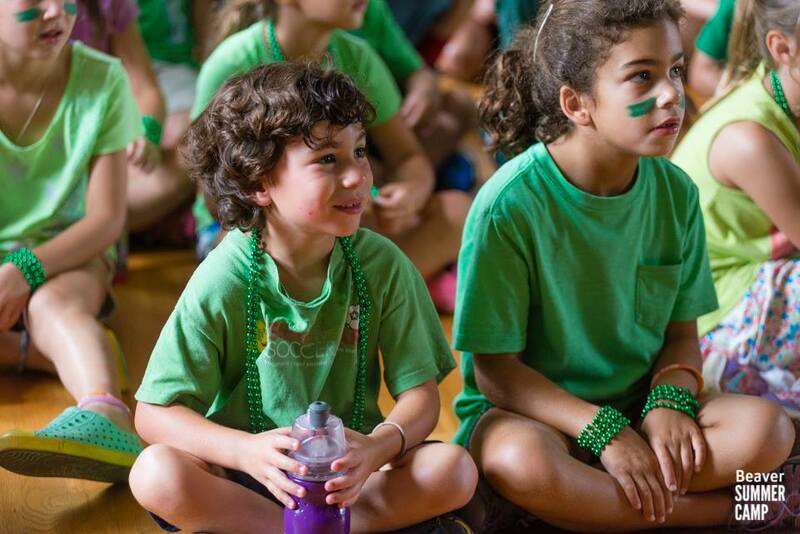 Soon after campers arrived, they gathered in Bradley Hall, where they were treated to a preview of their week-long cumulative challenge that is guaranteed to build up excitement for the global Ceremonies in Rio this Friday night. And that’s when the Beaver Opening Ceremonies began in earnest, with our version of the host country’s National Anthem in a new and original song composed by Music Specialist Nick, as well as Upper Campers Max, Anna, Rebecca and Clara, in their inspiring elective. 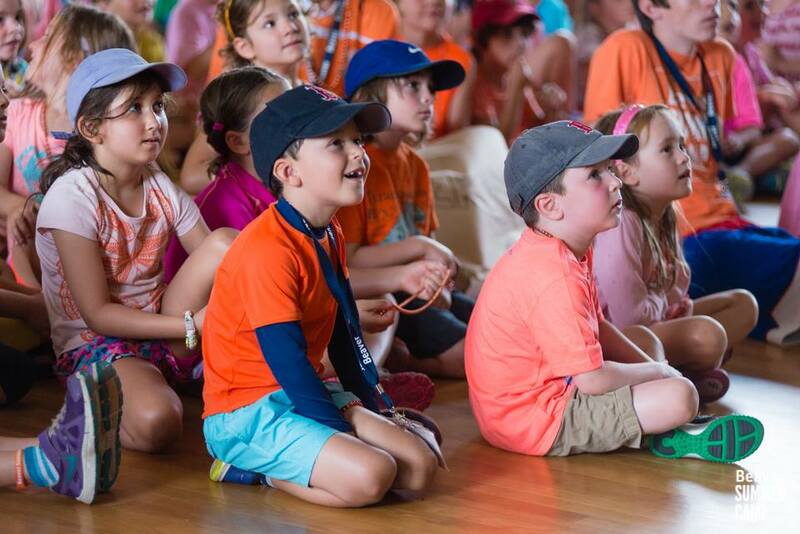 The songwriters guided the excited crowd of Middle Campers, counselors, and specialists through the lyrics of a brand new, original Beaver song, titled “Beaver Is the Place Where I Feel Good”. Check out the lyrics below! Galvanized Middle Camp groups then collaborated to create prideful banners and paraded around the room, parade-of-nations style, to really heighten the anticipation for the busy week. And what would Opening Ceremonies be without a show, a torch, and the host head of state? Check, check, and check! 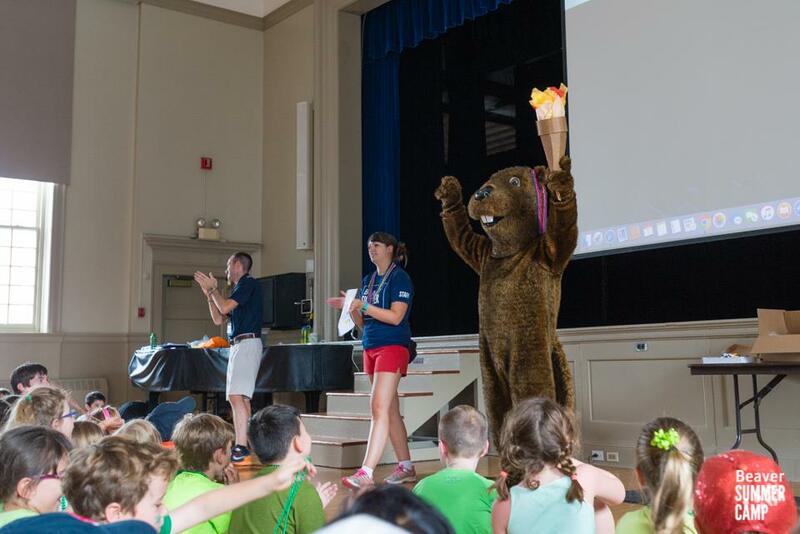 A showing of this video offered the perfect cue for the Beaver to enter the room, in a display of pageantry, proudly bearing the the torch, to the great delight of middle campers. Then we heard more about the week’s challenge, actually a series of small challenges, which will be woven into the daily Middle Camp routine. 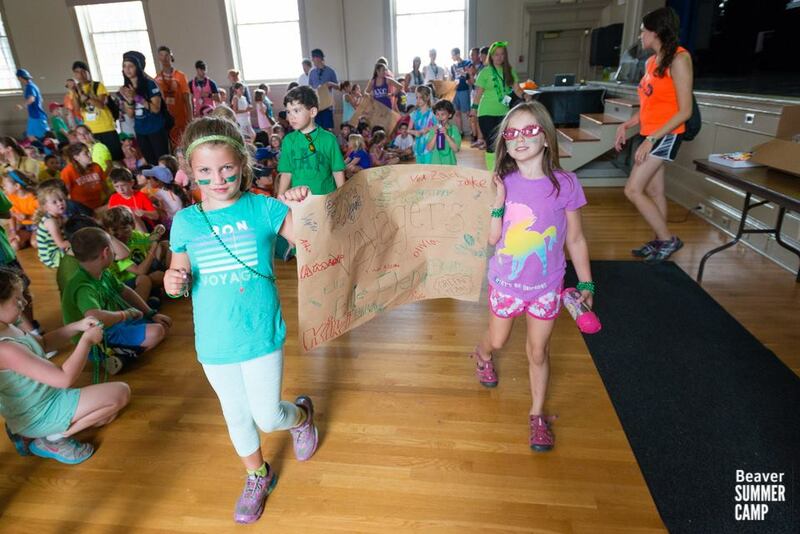 When campers arrive at their specials this week – whether at Archery or Music or Swimming, or Woodshop, or any of their other scheduled activities, they will be greeted by eager specialists who will lead them through their potentially points-winning feats. Earning a Gold medal will translate into three points for their group, Silver medals into two, and Bronze into one point, and points will be carried over from day to day, accumulated, and tallied at the end of the week. 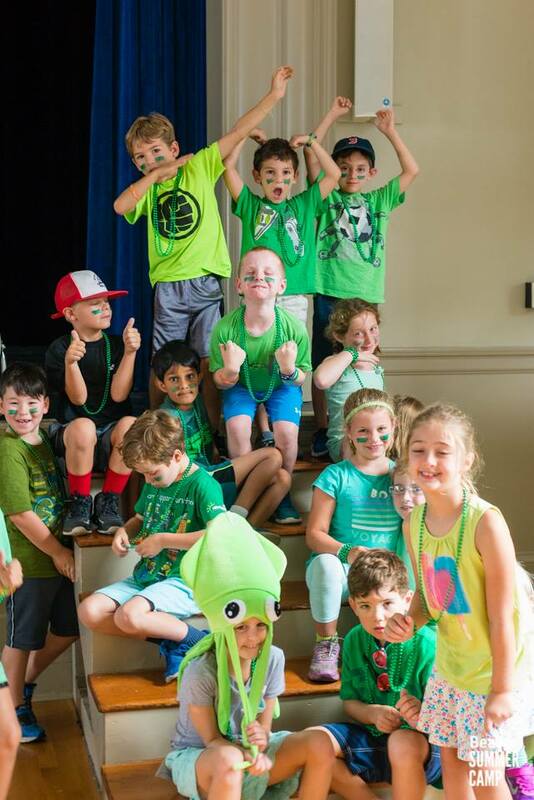 Middle Camp will be wrapping it all up and closing their Olympics on Friday, when we’ll find out which of the hard-working, proud, and passionate groups will take home the winning Beavers for this week’s exciting epic challenge. Stay tuned for details! Come on, it’s time to go! Going to camp, don’t you know. Now it’s time for swim. Time to jump right in. Beaver is the place where I feel good! Because you know it’s hot. So many good things to munch! Make a box or birdhouse too. Time flies right on by! But I’ll be back again next year!! !